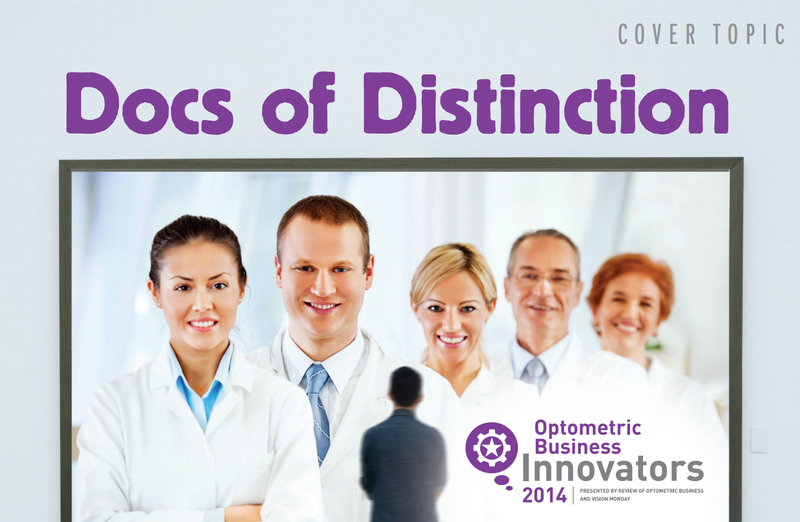 I am proud to share that I was named as a 2014 Optometric Business Innovator by the industry publications Review of Optometric Business and Vision Monday. This month's blog is an excerpt from that article and interview. 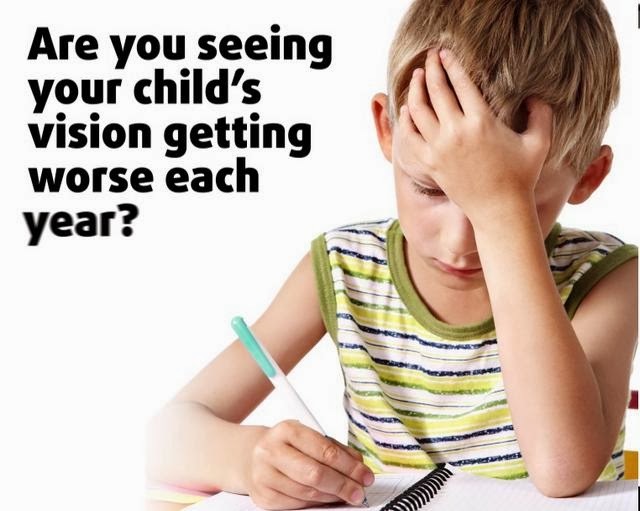 The full article may be found here. Andrew J. Neukirch, OD, knows about business efficiency-and getting up to speed in a hurry. Neukirch, who purchased his 56-year-old practice in 2011, said there was an immediate to update the office's technology. "When I bought the practice, the retiring doctor and staff members had systems in place that certainly worked well, but technology was not utilized to a significant extent," he said. "Within the first year, we implemented EHR, purchased a SD-OCT, added 50-inch displays in the exam lanes for patient education and displaying test results, and implemented online appointment scheduling with Demandforce." 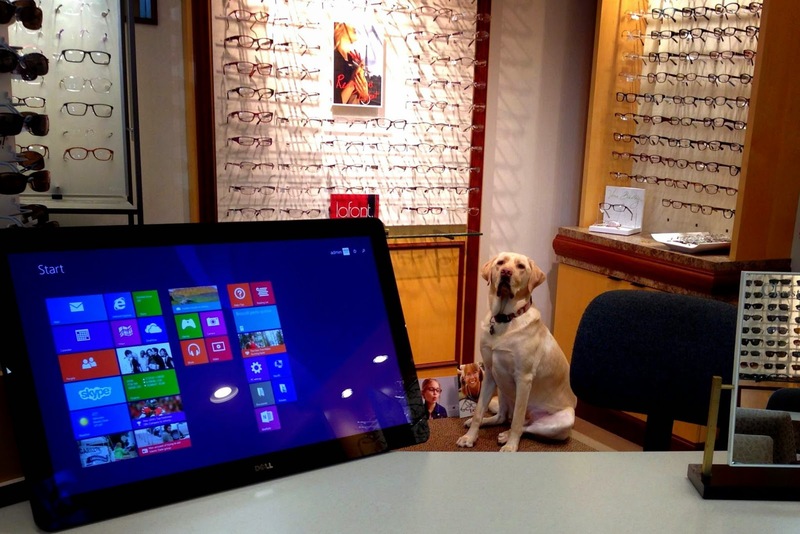 Complementing the practice's new and improved technology was participation in the IDOC optometric alliance. 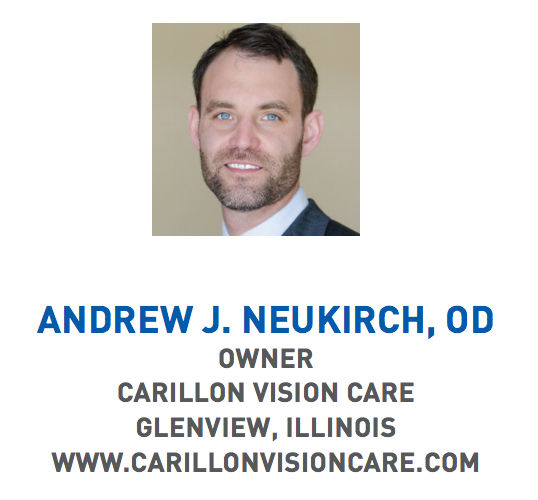 "I took the first two years researching all of the major optometry groups before discovering that IDOC was the best match for my practice," Neukirch said. "At this early point in my career, IDOC has allowed be to network with experienced and successful practitioners who openly share ideas and strategies that have proven useful to integrate." With such an emphasis on technology and business efficiency, it's no surprise the practice prides itself on its accessibility online. "Out practice's online presence is unmatched in the area, and over 50 percent of our new patients find us on the internet. Prior to 2011, our online presence was a simple website. I now have a blog that has over 500 views per month, active Facebook and Google+ pages, an interactive online 'walkthrough' tour of the office, and the practice shows up number one on all search engines in the area," said Neukirch. 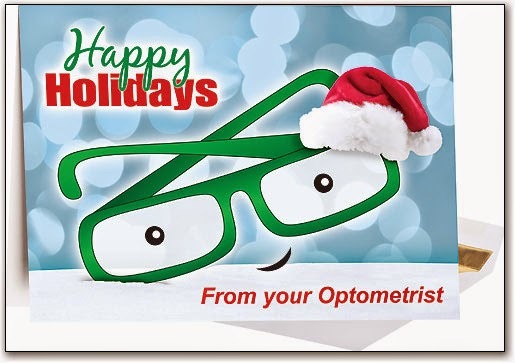 "Through our marketing efforts, most new patients have already read about our office before walking in the door, and we tend to attract high quality, compliant, health conscious patients who are not looking for an optometrist who simply 'takes their vision plan.'" 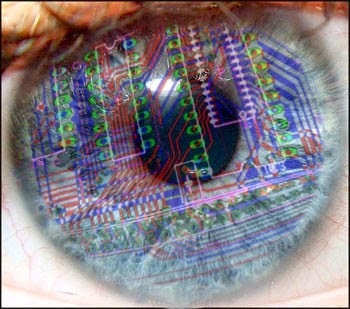 As the technology and lens materials continue to improve, new soft contact lenses enter the market on a regular basis. 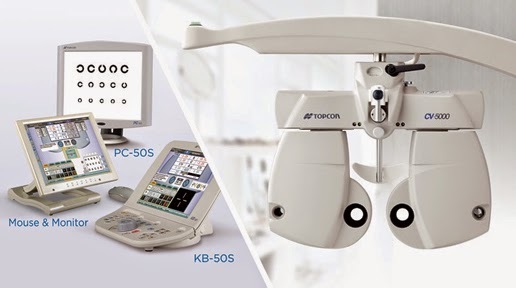 It becomes a challenge for patients, and eye care providers alike, to stay ahead of the curve, so I would like to take this opportunity to discuss some of the newest lenses and contact solutions that are available at Carillon Vision Care. Dailies Total 1 (Alcon): Patients that experience discomfort or dryness with 2-week or monthly replacement lenses typically fare better in daily disposable contacts, especially this one. Dailies Total 1 lenses have the latest generation “silicone hydrogel” core, which promotes oxygenation and breathability through the lens. This design also reduces the risk of contact-lens-related eye infections to nearly zero. The lens has an outer layer that approaches 100% water contact, making it one of the more hydrating lenses on the market. Although you will spend a little more, the comfort of Dailies Total 1 is arguably worth every penny for certain patients. 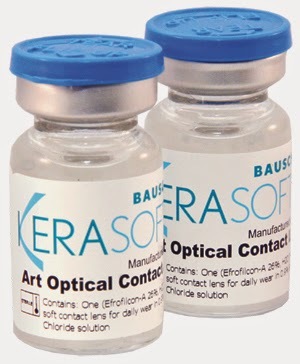 Dailies Progressive Contact Lenses (Alcon): Dailies Progressive lenses are the first daily, multifocal contact on the market. They may be worn full-time, but also serve as a great option for patients seeking multifocal contacts for “special occasions” or simply a day of golf. 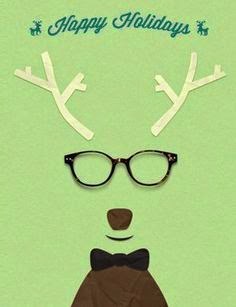 Either way, Dailies Progressive lenses afford the same benefits and convenience of any daily lens. 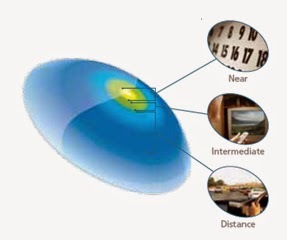 The lens’ optical system is identical to the Optix Multifocal lens, also manufactured by Alcon, which many practitioners have been fitting for years. As a result, this lens tends to be an easy transition for patients and providers alike. 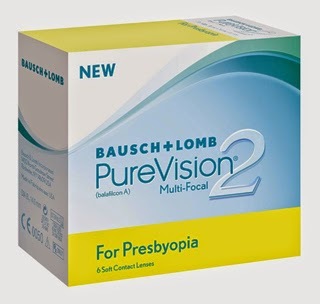 Purevision 2 Multifocal (Bausch & Lomb): This monthly-replacement, progressive lens is designed to enhance all three zones of vision: near, intermediate, and distance. 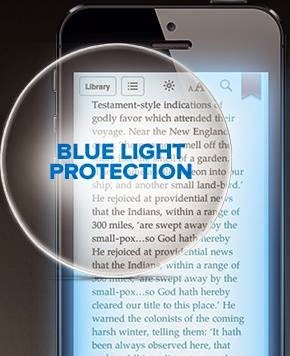 However, it is uniquely effective in the intermediate zone, which is typically utilized with laptop, computer, and cell phone use. The fitting process is simplified for this lens, versus many other multifocal lenses on the market, and may require less follow-up care for a new wearer. 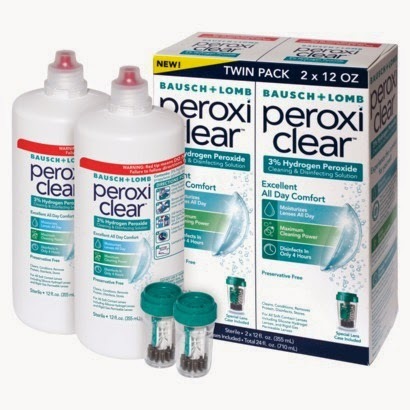 Peroxiclear Solution (Bausch & Lomb): The best way to clean conventional, soft contact lenses, albeit requiring a few extra steps, are hydrogen peroxide based systems. The most prominent brand has been Alcon's Clear Care system for many years. The latest product in this market segment, Peroxiclear, was recently launched and shows much promise. Peroxiclear possesses a reduced concentration of active chemicals, yet is more effective and cleans faster than the alternatives. 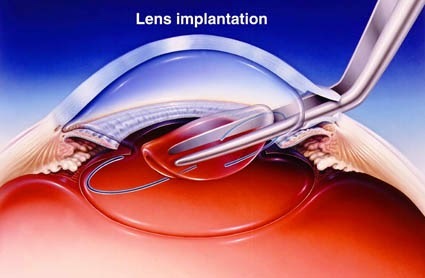 Patients also reported less discomfort with lens insertion and wear after using Peoxiclear solution. 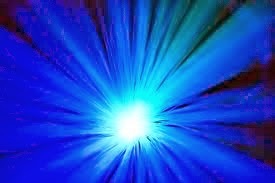 My office was an early launch site for the Chicago area, and I have received extremely positive feedback from patients. This product is now also available for purchase over the counter at local drug stores. 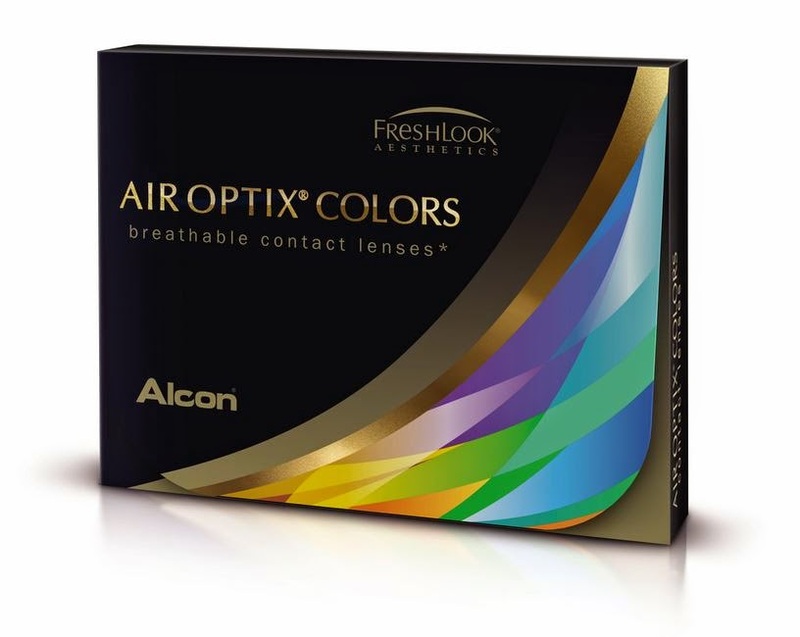 Air Optix Colors (Alcon): This is the first new, major colored lens to be released in 10 years! They are the first colored contact lenses to offer the advantages of a silicone hydrogel design. 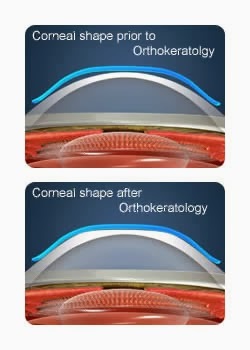 These lenses recently received FDA approval and are available the week of this publication. MyDay 1 Day Contact Lenses (CooperVision): *Not yet available in the USA. This will be the first one-day, silicone hydrogel lens from CooperVision. This lens has been very successful in Europe, where it launched in September 2013. I have been informed that the company expects its American debut around Fall 2014.